Readers of Heartlandboy.com will know that Heartland Boy has a penchant for finding deals that represent amazing value for money. Being a foodie, Heartland Boy uses The Entertainer App to minimize his monthly expenses and has saved close to S$1000 in 2015. 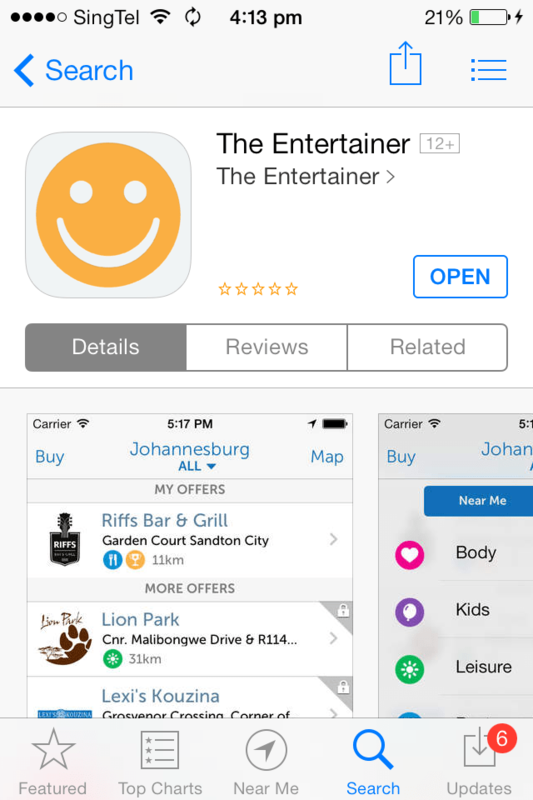 The Entertainer App is a platform that gives paid users 1 for 1 deals to restaurants, hotels, activities, leisure attractions etc. It is available in Singapore, Hong Kong, Malaysia, London etc. 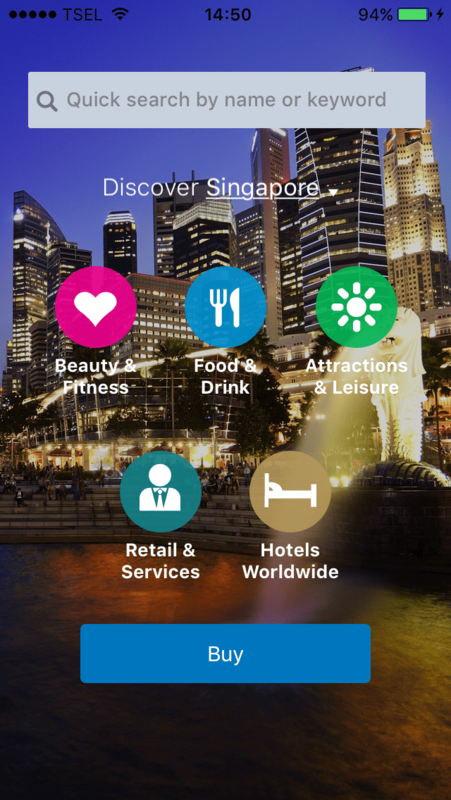 This article will review how brilliant the Entertainer App Singapore is. Before payment, redeem the deal in the presence of the wait staff. Once successful, the paid user would only need to pay for the higher-priced main menu item, while the lower-priced main menu item will be waived and considered free! Readers will be amazed to learn that such awesome deals are not confined to just restaurants. Other types of participating merchants are worldwide hotels, spas and wellness centers, and leisure attractions. Discounts of various kinds would be eligible at all participating merchants. There are monthly promotions valid only during that month. In addition, new participating merchants are continuously added to The Entertainer throughout the year, ensuring that the value you derive from it is possibly… infinite. It offers plenty of participating hotels in both of Heartland Boy’s favourite cities – Bali and Bangkok! 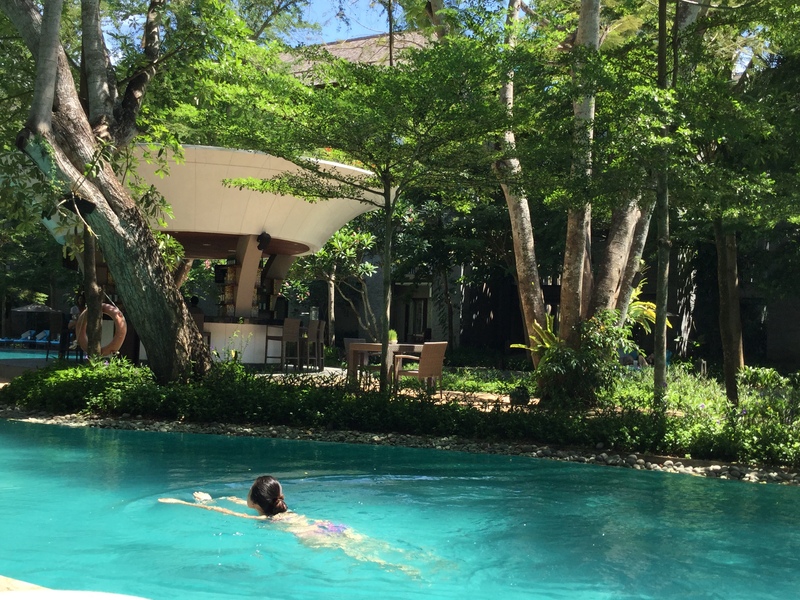 During their annual getaway to the beloved island that is Bali, Heartland Boy used The Entertainer App to purchase one for one room nights at the Marriott Courtyard Nusa Dua. As a result, the room rate worked out to be S$95 nett per night. This is really amazing value for money considering that they get to enjoy the sumptuous breakfast buffet spread as well! Clearly, the cost savings from simply utilizing The Entertainer App just once on any hotel stay would allow one to recover the S$85 registration fee. This review illustrates a few examples of how Heartland Boy was able to recoup the registration fee. To avoid disappointment, it will be good to call the restaurant in advance to inform them that you would like to utilize The Entertainer. There was one occasion where Heartland Boy called and realized that the restaurant had already shut down! (not surprising given the headwinds this industry faces) Also check whether the restaurant allows The Entertainer to be utilised on public holidays and eve of public holidays. Couples who intend to purchase The Entertainer need not both purchase it separately. As it is possible for the same paid user to be logged onto multiple devices at various times, only one partner needs to purchase it. Thereafter, the purchaser can simply “share” the password with his or her partner and both can start to enjoy the benefits of The Entertainer. Furthermore, with typically three redemptions allowed per restaurant in a year, there should be more than enough visits for one to sample the restaurant’s menu. Based on experience, Heartland Boy believes that a user pays the same fee when signing up in June or in January. Therefore, purchase The Entertainer App as early as possible to benefit from the amazing deals that are available all year long. Hotel hop to maximize your savings and enrich your travel experience. Unlike the one for one main menu promotion for restaurants, a paid user is limited to only 1 visit per year to the same participating hotel. Therefore, to overcome this, the user can try hotel hopping to maximise savings! Spending 2 days in Kuta, 2 days in Seminyak and another 2 days in Ubud still sound like a pretty awesome holiday itinerary for Bali! Heartland Boy believes that The Entertainer is offering some promotions at the moment where the fee is reduced to S$70! Readers can google for some promo codes and utilize them. Even then, Heartland Boy thinks that The Entertainer is still immense value for money even without the promotion. Hi heartland boy! I also purchased the app in Dec last year. However, I realised that we can access most restaurants evennwithout purchasing the app. What good does the app do in that case? I feel like my money has been cheated and I shouldn’t have purchased the app. I did not know this! What I do know is that to entice users to try the app, The Entertainer does allow first-time users to try limited restaurants for free. If a user is convinced on the cost savings, perhaps he or she will proceed to pay the fees to enjoy the full suite of services. You can take it as The Entertainer giving out free samples? Alternatively, my guess is that since it is already December (for your case), The Entertainer might simply grant full access to non paying customer for all the restaurants for the remaining December. This is in the hope that you will convert to a paying customer in the next year! But this is simply my guess!